MOTIVATED SELLER!!! CUSTOM REMODELED MAJESTIC HOME WITH INCREDIBLE VIEWS. 1668 SF GARAGE WITH WORKSHOP, GOURMET KITCHEN WITH WOLF APPLIANCES AND SUBZERO REFRIGERATOR, THEATRE ROOM, GAME ROOM, INDOOR POOL AND SPA, 6 FIREPLACES, STEAM HUMIDIFIER AND SO MUCH MORE! 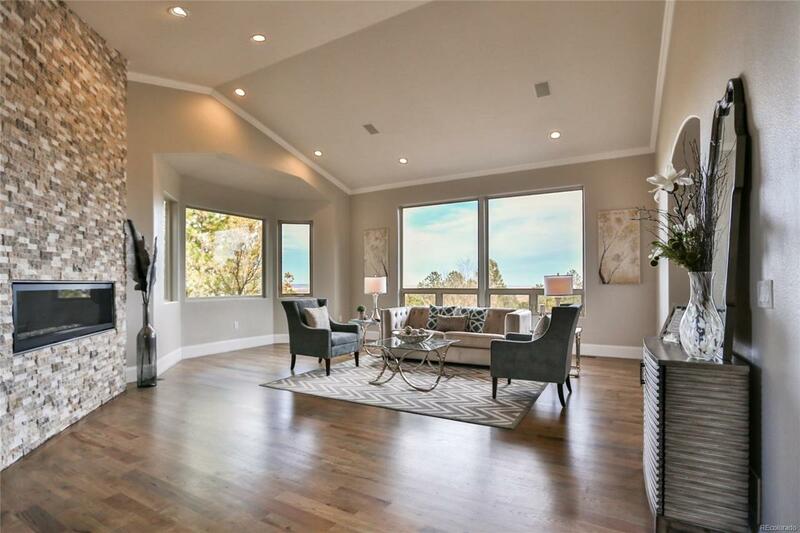 OPEN CONCEPT HOME WITH HICKORY WOOD FLOORS THRU-OUT. LIVING ROOM AND MASTER BEDROOM HAVE SPLENDID VIEWS OF CITY LIGHTS. HOME IS AN ENTERTAINER'S DELIGHT. EAT IN KITCHEN BOASTS HUGE WALK IN PANTRY. DON'T WAIT. RELAX AND UNWIND IN YOUR OWN INDOOR POOL AND HOT TUB. LARGE MASTER BEDROOM HAS IT'S OWN PRIVATE DECK, HUGE TUB AND ENORMOUS WALK IN DUAL SHOWER WITH ULTRA CLEAR FRAMELESS GLASS. EACH BEDROOM HAS ITS OWN PRIVATE BATH AND WALK IN CLOSET. ENJOY WORKING FROM HOME IN THE MAIN LEVEL OFFICE. ENTERTAIN ALL OF YOUR GUESTS IN THE LARGE FORMAL DINING ROOM. 68 BUILT IN SPEAKERS THROUGH OUT THE HOUSE. POOL TABLE ROOM AND OUTDOOR FIRE PIT. THIS HOME IS NESTLED AMONG THE PINES ON 1.11 ACRES AND IS CONVENIENTLY LOCATED.